Rent JW Marriott Houston Downtown | Corporate Events | Wedding Locations, Event Spaces and Party Venues. Set in the historic Samuel F. Carter skyscraper, the JW Marriott Houston Downtown eloquently carries the rich legacy of the city forward, blending past and present in a dynamic fusion. Our luxury hotel showcases paintings and sculptures created by local artists for a dose of Southern hospitality. 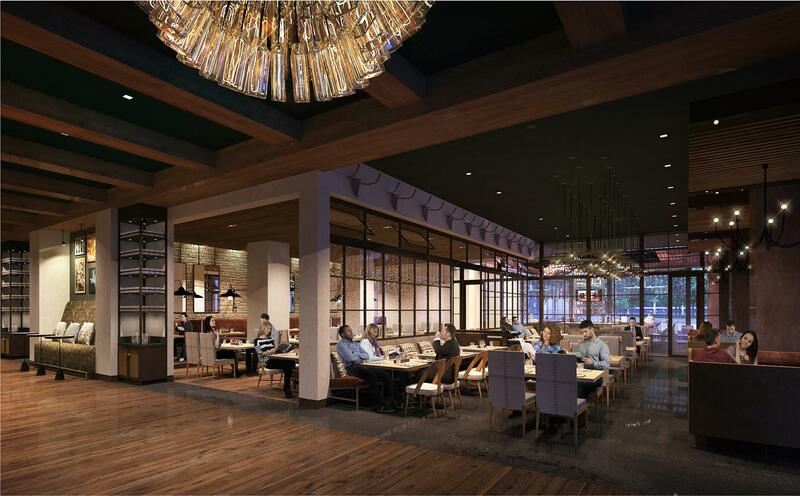 A Houston-themed restaurant, Main Kitchen, paired with our premier Spa by JW and 16,000 square feet of Houston event space make our accommodations ideal for business and leisure travelers alike. Convenient to the George R. Brown Convention Center, Minute Maid Park and the Texas Medical Center, the hotel is linked to the area's popular attractions and dowtown areas via public transit. Technologically advanced guest rooms boast iPads to order room service or summon the valet, 55-inch flat-screen HDTVs with 120 channels and complimentary wireless Internet access. Professional staff members offer personalized service and in-depth local knowledge. The JW Marriott Houston Downtown takes luxury to a whole new level. Our nine Houston meeting rooms boast 16,000 square feet of flexible space for conferences. The Gallery Level at the JW Marriott in downtown allows for stimulating and productive meetings. Print, fax and make copies using the business center at our meeting spaces in downtown Houston. The Picasso meeting space can accommodate up to 700 attendees in a theater-style setup. Enjoy state-of-the-art technologies in each of our Houston meeting rooms. We offer overnight delivery and pickup for packages as well as network/Internet printing services. With 16,000 square feet of event space, our hotel can host lavish receptions or intimate weddings. Work with our skilled Houston event coordinators to plan the perfect wedding and reception here. Our downtown Houston wedding venues offer guests easy access to attractions and transportation. Enhance your wedding, social event or party with our outstanding catering capabilities and choices. Before saying “I do,” indulge at the Houston wedding venue’s on-site spa with services for everyone. Luxury accommodations with modern technologies await wedding parties staying at our downtown hotel.